From the author of Me Before You, Still Me, and The Peacock Emporium, a sweeping bestseller of love and loss, deftly weaving two journeys from World War I France to present day London. Paris, World War I. Sophie Lefèvre must keep her family safe while her adored husband, Édouard, fights at the front. When their town falls to the Germans, Sophie is forced to serve them every evening at her hotel. From the moment the new Kommandant sets eyes on Sophie’s portrait—painted by her artist husband—a dangerous obsession is born. Almost a century later in London, Sophie’s portrait hangs in the home of Liv Halston, a wedding gift from her young husband before his sudden death. After a chance encounter reveals the portrait’s true worth, a battle begins over its troubled history and Liv’s world is turned upside all over again. 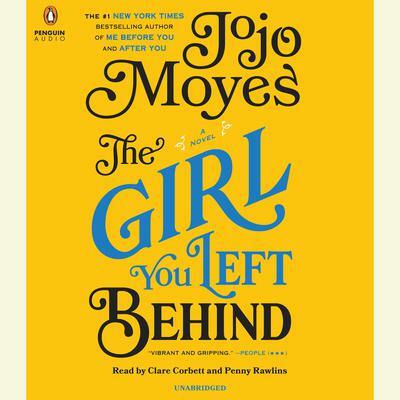 From the author of Me Before You, Still Me, and The Peacock Emporium, a sweeping bestseller of love and loss, deftly weaving two journeys from World War I France to present day London. Paris, World War I. Sophie Lefèvre must keep her family safe while her adored husband, Édouard, fights at the front. When their town falls to the Germans, Sophie is forced to serve them every evening at her hotel. From the moment the new Kommandant sets eyes on Sophie’s portrait—painted by her artist husband—a dangerous obsession is born. Almost a century later in London, Sophie’s portrait hangs in the home of Liv Halston, a wedding gift from her young husband before his sudden death. After a chance encounter reveals the portrait’s true worth, a battle begins over its troubled history and Liv’s world is turned upside all over again.